A small side table next to your bed is an essential piece of bedroom furniture. We have a wide variety of nightstands in both dark and light finishes. Our inventory includes both single drawer side tables for personal belongings while others have multiple doors or an open space to tuck away a wicker basket filled with your favorite books or magazines. For the ideal bed-side lamp, visit our sister website: Pacific Home Glow. 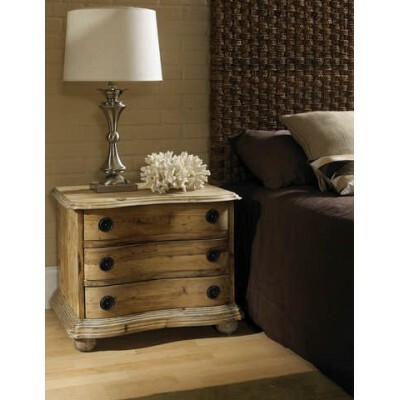 Coastal Cottage Collection....Pacific Home Furniture's Basket Weave Nightstand is beautifull..
Coastal Cottage Collection....The Cottage Nightstand from Pacific Home Furniture is beautifully ..
• Rope Trim • Framed Flat Panel on Sides • Two Drawers with Recessed Bead Trim &bu..
• One Drawer • One Door • Wood Knobs • One Fixed Shelf • Arched Base &..
Coastal Cottage Collection....• 1 Drawer on roller glide• Features Oglethorpe Feet..
• One Drawer • Wood Knob • Bun Feet • 27H x 21W x 18D • Interior Depth:..
• One Door • Wood Knob • 25.25H x 21W x 14.5D**This product is custom made and ..
Wood Night StandThis item Salvaged Wood Night Stand from Pacific Home Furniture is artisan craft..
• One Drawer • Wood Knob • Bun Feet • 24.5H x 22W x 17D • Interior Dept..
• Two Doors • Wood Knobs • One Fixed Shelf • 27H x 23.5W x 17D @ Crown •..
Victoria Nightstand Modeled after French-inspired furniture found in the European Count..
Victoria Nightstand Complete your bedroom décor with the traditional appeal of t..